Olivine is a magnesium iron silicate and one of the most common minerals in the Earth’s upper mantle. When magnesium-rich olivine, or forsterite, is found in gem quality crystals, it is called peridot. Gemstone peridot is relatively rare. In addition to terrestrial sources, magnesium-rich olivine has also been found in meteorites, in comet dust, in the planetesimal belt around a young star, and in a type of crystal rain falling on a protostar. Extraterrestrial peridots are found in a class of stony-iron meteorites called pallasites. 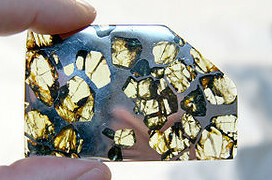 Pallasites are a rare type of meteorite. Only 61 are known to date. They contain large peridot crystals up to a centimeter in size, which are embedded in an iron-nickel matrix. The presence of olivine has recently been verified in samples taken from a comet by the Stardust spacecraft. Stardust was a NASA space probe launched in 1999. It took until 2004 for Stardust to reach its target, a comet called Wild 2. 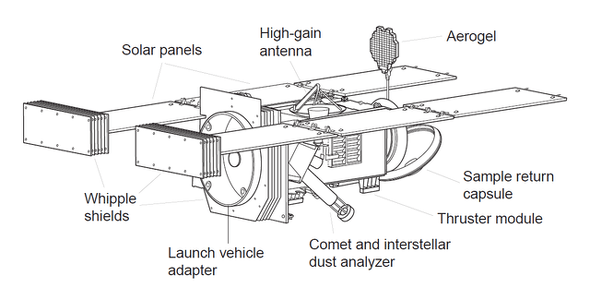 It flew by the comet and collected samples, which were delivered to Earth when Stardust passed by in 2006. Analysis of the samples revealed the presence of magnesium-rich olivine. 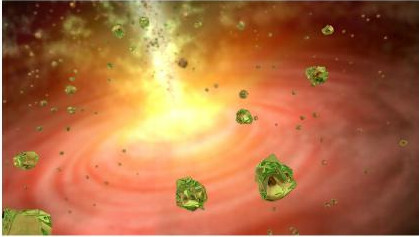 Extraterrestrial peridot has also been detected in the planetesimal belt surrounding the star Beta Pictoris, which is the second-brightest star in the constellation Pictor. Beta Pictoris is located 63 light years from our solar system, and it is much bigger and brighter than our sun. 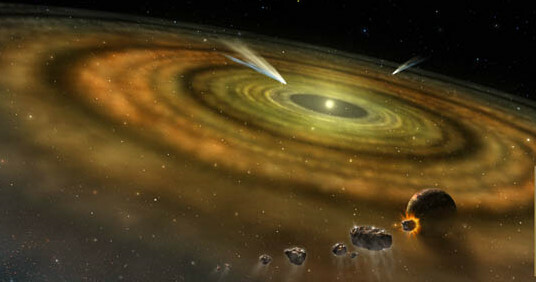 The Beta Pictoris system is very young, only 8–20 million years old, and it is believed that the planetesimals in the belt will eventually coalesce to form planets.